In Turin we like details, not only on our historic palazzos but also on the sidewalks we take on a daily basis. Whenever a friend, a follower, a guest or a visitor comes to town we always show them our "memory stones" or pietre d'inciampo for those of you who love Italian, or stolperstein in German. These are small 10x10 cm (5x5 in.) plates made of brass placed in front of certain doors and scattered all around the European cities as part of a German artist's project. 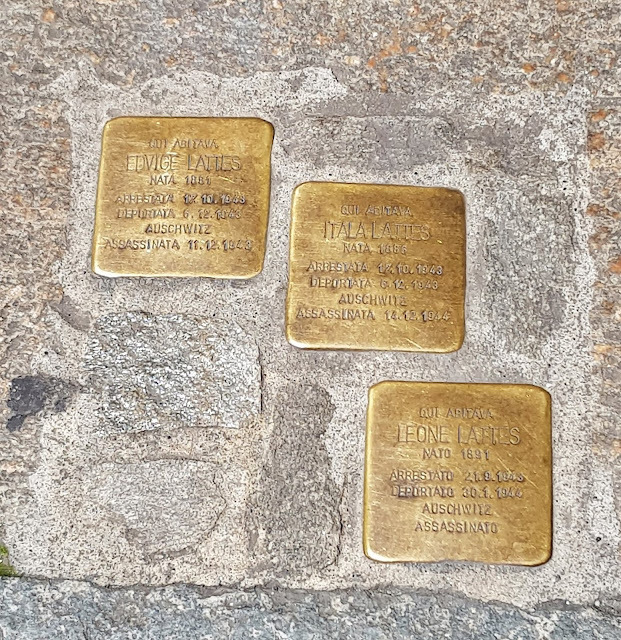 By placing these plates, Gunter Demnig wanted to remember all the victims of the Nazi persecution and provide an individual identity to all of those who died as a mere number. Originally, in 1995 this art project included only 50,000 plates to be placed in many European cities, and the 50,000th one was placed in Turin. Nowadays Turin has about 100 of these stumbling stones or plates, and engraved on each one, you can read the full name, date of birth, date of arrest, the date of death (when known) and concentration camp of the victim who used to live in the building where the plate is placed in front of. Despite these brass cobblestones glisten, they get overlooked far too often by the distracted walkers, but hopefully you won't miss out on them when you come over to Turin. 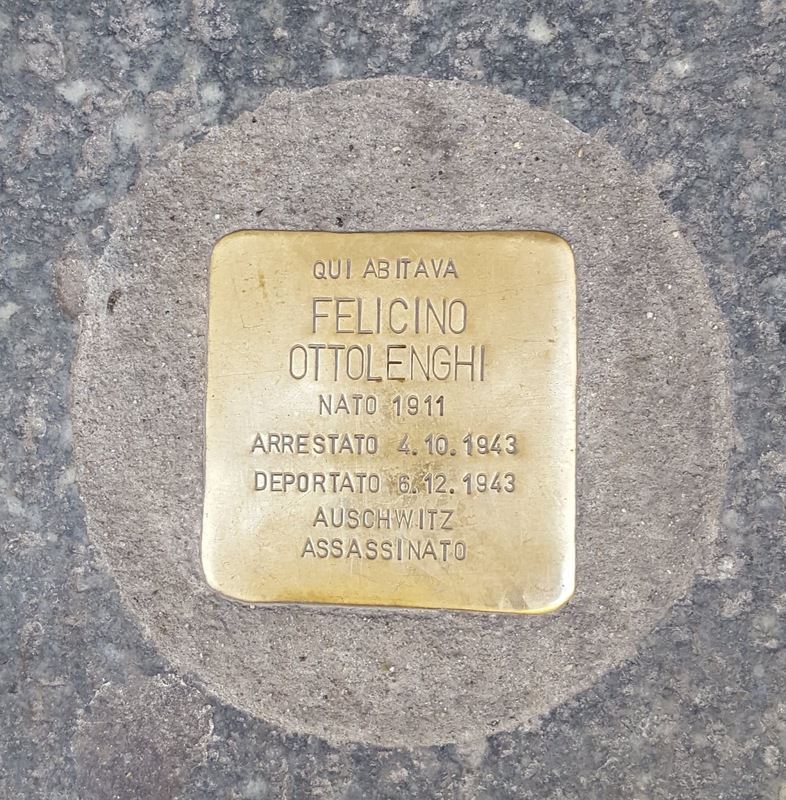 This growing memorial project is supported by the Resistence Museum or Museo Diffuso della Resistenza who includes different locations all around the city, the Turin Jewish community, the Goethe-Institut Turin and by the National Association of Former Deportees (Aned in Italian). 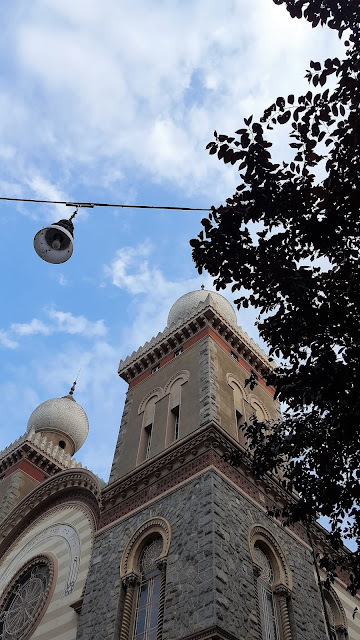 take a walk in the San Salvario neighborhood to look at the actual synagogue the Turin Jewish community managed to complete after exchanging the plot of land where the Mole Antonelliana is today with the current one. 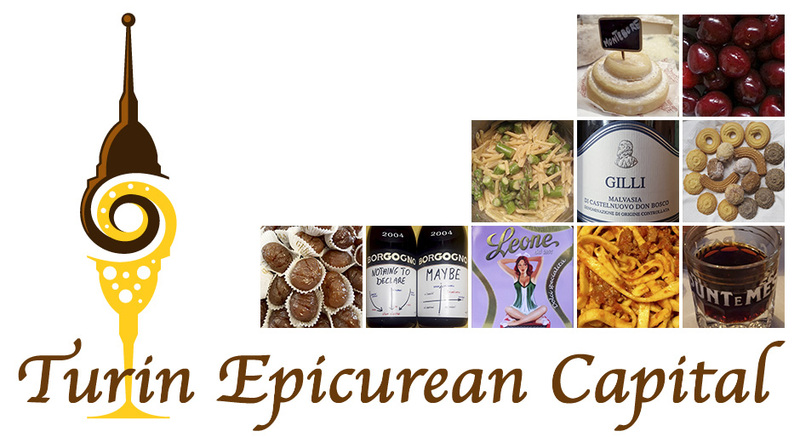 Explore the San Salvario streets for aperitif, world cuisines, gelato at Cooperativa - Gelateria Naturale Come Natura Crema and Orso Caffé where you can choose all sort of coffee brewing methods and cool blends!